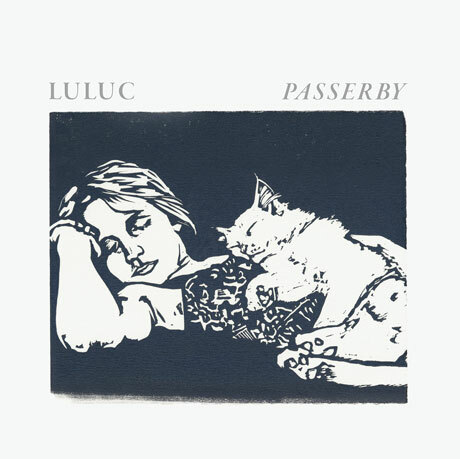 Australian duo Luluc have been getting some love here in North America as of late. After all, the National's Aaron Dessner co-produced their new album Passerby, which will be out on July 15 through esteemed Seattle label Sub Pop. In the meantime, the collection can be streamed at Exclaim.ca. After initial attempts to record the album went badly, the duo of Zoë Randell and Steve Hassett got their sessions on the right track when Dessner gave them access to his garage studio while he was on tour. When he returned, he came on board and played extensively throughout the record, as did members of the National's touring band. As you'd expect from these players, the results are restrained and graceful. Passerby is mellow and balladic, as soft guitar strums and cooed harmonies are overlaid with tasteful folk rock instrumentation. The final passage of "Tangled Heart" swells to a horn-filled climax, but the record is otherwise mostly about subtlety and calm. If you're in Canada, hear it below.